Kylie Jenner celebrated her Sweet Sixteen on Saturday without famous big sister Kim Kardashian during a family birthday dinner in Malibu, California. Kim and newborn daughter North stayed home while the rest of the Kardashian clan celebrated the birthday of the youngest child of Kris Jenner and Bruce Jenner. Kylie was on the receiving end of several online birthday messages from family and friends that included adorable intimate portraits. Kim wasn't the only no-show at Kylie's birthday dinner. Kim's other half and North's father, Kanye West, didn't make it to the family outing and Khloe Kardashian's husband Lamar Odom also was not in attendance, according to a report in RadarOnline.com. Kim did take time from new mommy duty to post a split photo showing Kylie with her older sister Kendall, 17, as young girls smiled cheek-to-cheek with a more recent shot of the teens similarly posing close together. 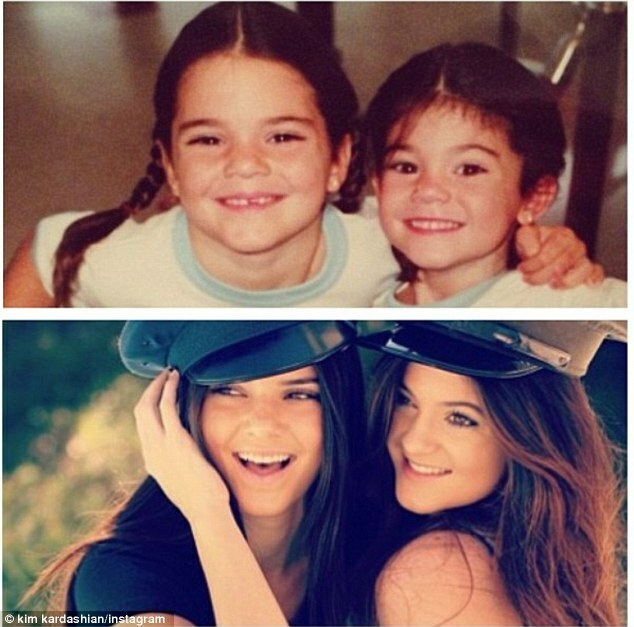 'Happy Birthday to my baby sis @kyliejenner !!!! Can't believe your 16! I love you so much!' Kim tweeted to her more than 18 million followers. 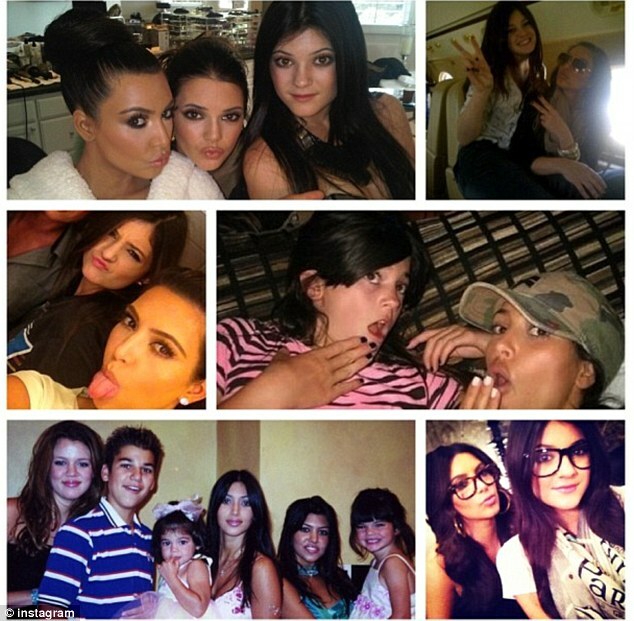 Kim also posted a six-picture photo montage showing Kylie with various members of the Kardashian clan. Khloe Kardashian, 29, jumped the gun and posted a happy birthday message on Friday showing her and little sister Kylie posing together with pouty lips. She followed it up by posting six pictures of just her and Kylie together. 'Happy birthday to my sweet sweet @kyliejenner. No one could ever understand the bond we have and I love that! We understand our weirdness and that's love man!' Khloe wrote in the caption. 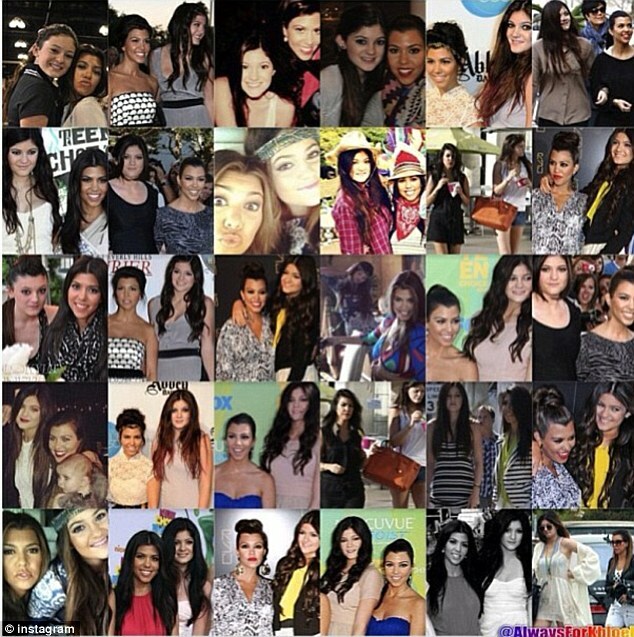 Kourtney Kardashian, 34, took it up a notch and posted a 30-photo montage of Kylie and the Kardashians. 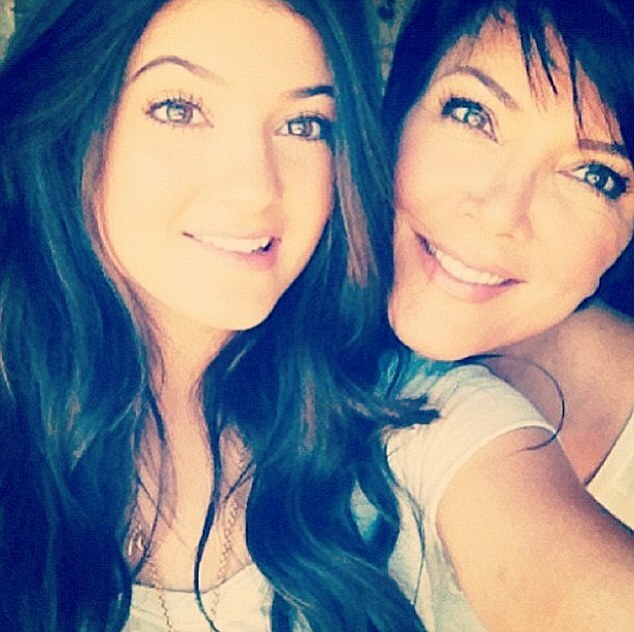 'Happy Birthday @kyliejenner !!! Sixteen years old is a little crazy!,' Kourtney wrote in the caption. 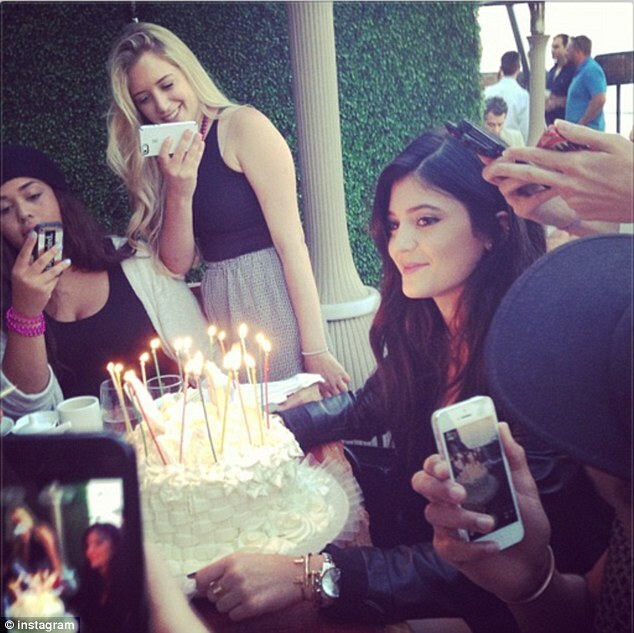 Kourtney also posted a photo of Kylie about to blow out her 16 candles. 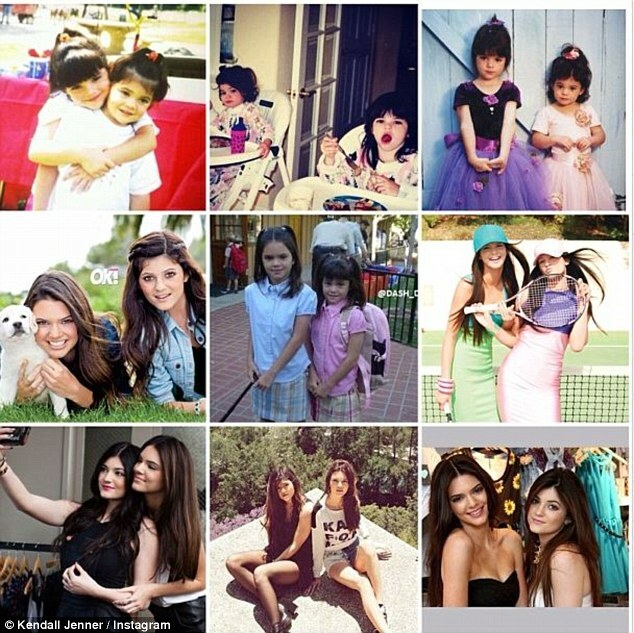 Kylie's sister Kendall, 17, posted a nine-photo montage of images of the two sisters growing up together. 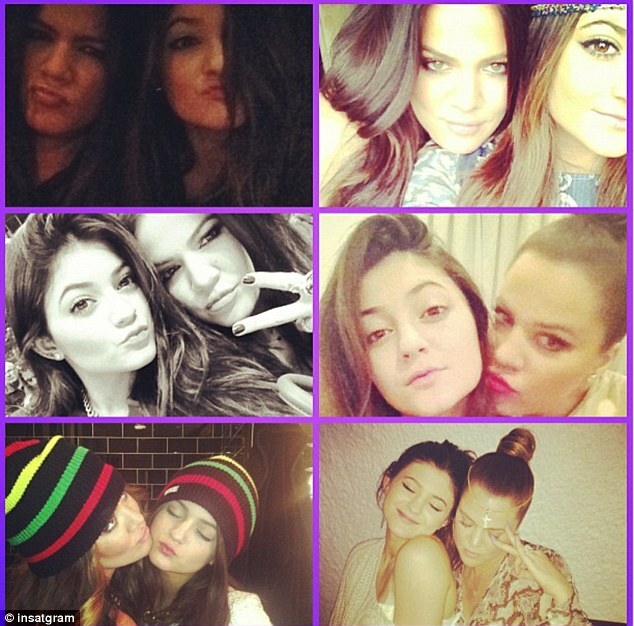 'happy birthday to my crazy, beautiful, wild little sister @kyliejenner !! can't believe you're turning 16! I love you and don't know what I would do without you! have an amazing day! lets party!,' her caption read. Kylie's friend Hailey Baldwin, 17, also shared four photos showing the girls having a good time together. 'Happy 16th birthday to my wifey @kyliejenner I am grateful to have such a great friend and I hope you have the best day today. Love you [heart symbol],' her caption read.